Ham Or Turkey Gift Certificates for Easter Gratitude | gThankYou! gThankYou! Ham Or Turkey Gift Certificates make it easy to share your Easter gratitude! Our Ham or Turkey Gift Certificates provide flexibility and convenience for both you and your recipients, plus they’re a thoughtful and meaningful gift that show you care. In addition to our popular Ham or Turkey Gift Certificates, thank employees for any occasion with gThankYou Gift Certificates for a variety of grocery staples and treats. gThankYou! Ham Or Turkey Gift Certificates – Meaningful, affordable and convenient! gThankYou! Ham or Turkey Gift Certificates are good for any brand of whole turkey or any brand of whole or half ham. Choose from dozens of designs and share your personal message of appreciation. We even include your logo – all Free! Order today online or by calling 855-407-9025. It’s not too late to order in time for Easter! Nearly all gThankYou orders ship the day they are received, with delivery as soon as the next business day. Interested in large-volume discounts or worried about making a specific deadline? Call 855-407-9025. Easter in the workplace is about celebrating hope, family and the changing of the seasons — and, most importantly, your gratitude for employees. Surprise your staff with a gift they’ll be able to use right away and enjoy with family: a gThankYou! Ham or Turkey Gift Certificate. Creating a high-performance, gratitude-rich culture is a top priority for companies now. Gallup research shows that engagement among U.S. workers is still lagging. The majority of employees aren’t fully engaged in their work, and 51 percent are watching or actively searching for another job. This means the majority of U.S. companies aren’t doing enough to build the kind of culture that attracts, engages and keeps employees. “It is time to get real about high-performance culture. The stakes are too high to have our cultures be a liability,” according to HR Dive. Experience 29 percent lower overall turnover. 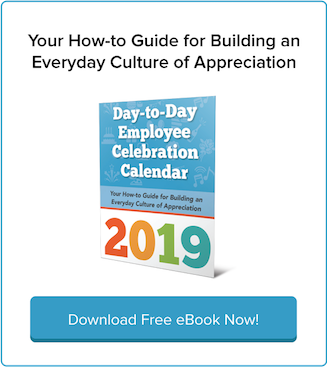 Have 27 percent higher rates of “Net Promoter” employees — that is, employees who advocate for their company as the best employer. Had four times higher sales and returns as compared to companies with low culture alignment. 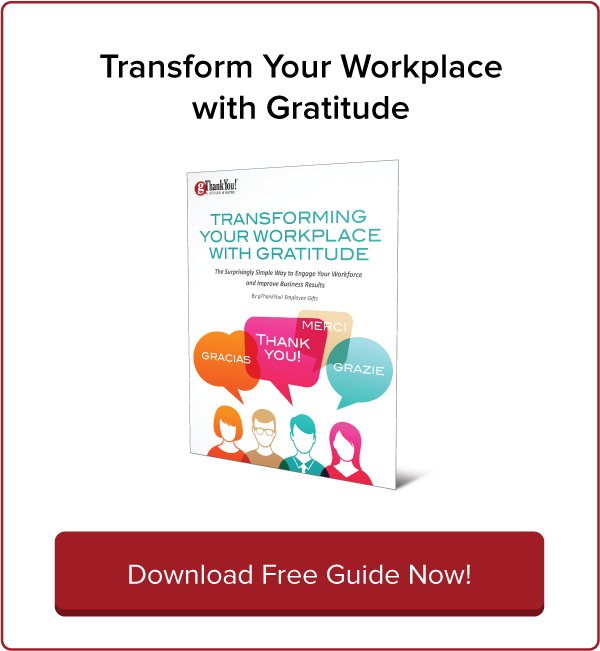 Recognition and gratitude are key components in building a better workplace culture. It isn’t enough to say you value employees, or write it in a mission statement. In highly aligned cultures, company leaders show that value, too. “The deepest principle in human nature is the craving to be appreciated,” 19th century psychologist William James is quoted as saying. 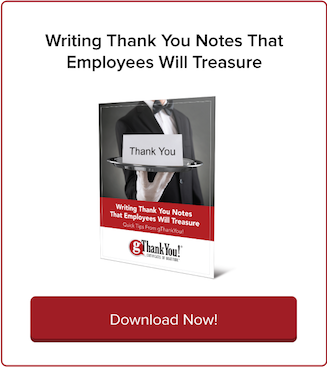 gThankYou Gift Certificates are a meaningful way to show gratitude to employees and recognize good work. 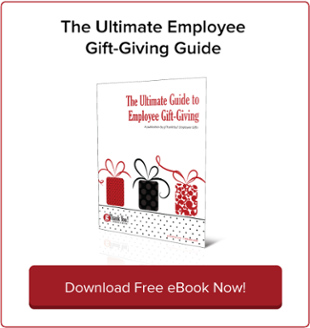 They’re a tangible gift that company leaders or supervisors can hand out to each employee individually, yet they’re practical and affordable, and eliminate the need for frozen turkey or ham storage. And the free personalization and customizable “Thank You” Enclosure Cards that come free with each order of gThankYou! Ham or Turkey Gift Certificates allow you to address each employee by name. “Calling someone by name is a high form of recognition. Managers should learn as many names in the workplace as possible, starting with the people closest by,” according to HR Dive. Check out our Enclosure Cards for Easter and Spring — including new designs for 2017! Turkey or Ham Gift Certificates by gThankYou! – Everyone Loves Them!